In earlier times, it has been reported that lamella or disks of glycerinated gelatin were used to supply drugs to the eye by insertion beneath the eyelid. The aqueous tear fluids dissolved the lamella and released the drug for absorption. The medical literature also describes a sterile paper strip impregnated with drug for insertion in the eye. These appear to have been the first attempts at designing a sustained-release ocular dosage form. In 1975, the first controlled-release topical dosage form was marketed in the United States by the Alza Corporation. Zaffaroni (360) describes the Alza therapeutic system as a drug-containing device or dosage form that administers a drug or drugs at programed rates, at a specific body site, for a prescribed time period to provide continuous control of drug therapy and to maintain this control over extended periods. Therapeutic systems for uterine delivery of progesterone, transdermal delivery of scopolamine, and oral delivery of systemic drugs have also been developed. Figure 19 Exploded view of the pilocarpine Ocusert system (A,D) Transparent rate-controlling membranes. (B) Plastic ring, opaque white for visibility in handling and insertion. 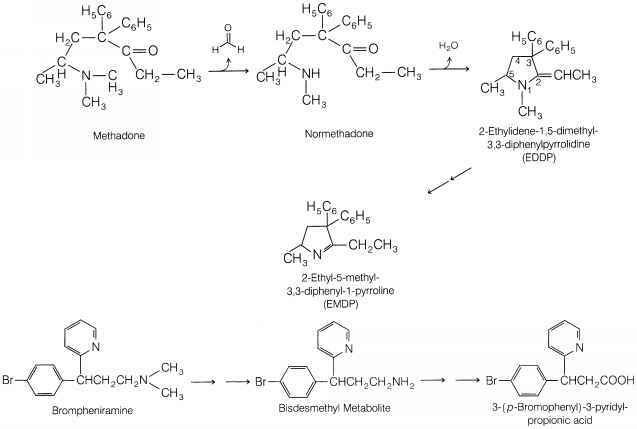 (C) Drug reservoir. Total thickness of the assembled system is 0.3 mm. Major and minor axes of the ellipsoidal device are 13.4 and 5.7 mm, respectively. delivery module consists of (i) a drug reservoir, pilocarpine (free base), and a carrier material, alginic acid; (»') a rate controller, ethylene-vinyl acetate (EVA) copolymer membrane; (iii) an energy source, the concentration of pilocarpine in the reservoir; and (iv) a delivery portal, the copolymer membrane. The platform component for the pilocarpine Ocusert consists of the EVA copolymer membranes, which serve as the housing, and an annular ring of the membrane impregnated with titanium dioxide that forms a white border for visibility. The laminate structure of the Ocusert is seen in (Fig. 19). The free-base form of pilocarpine is used, since it exhibits both hydrophilic and lipophilic characteristics. Use of the extremely water-soluble salts of pilocarpine would have necessitated the use of a hydrophilic membrane, which, if it osmotically imbibed an excessive amount of water, would cause a significant decline in the release rate with time. Use of the free base allowed a choice of more hydrophobic membranes that are relatively impermeable to water; accordingly, the release rate is independent of the environment in which it is placed. EVA, the hydrophobic copolymer chosen, was found to be very compatible with the sensitive ocular tissues (111, p. 1037), an important feature. The pilocarpine Ocusert was seen by Alza to offer a number of theoretical advantages over drop therapy for the glaucoma patient. The Ocusert exposes a patient to only one-fourth to one-eighth the amount of pilocarpine, compared with drop therapy. This could lead to reduced local side effects and toxicity. It provides continuous round-the-clock control of IOP, whereas drops used four times a day can permit periods where the IOP might rise. Additionally, the Ocusert provides for more patient convenience and improved compliance, as the dose needs to be administered only once per week. However, clinical experience seems to indicate that the Ocusert has a compliance problem of its own (i.e., retention in the eye for the full seven days). The patient must check periodically to see that the unit is still in place, particularly in the morning on arising. Replacement of a contaminated unit with a fresh one can increase the price differential of the already expensive Ocusert therapy compared with the inexpensive drop or once-a-day gel therapy. In addition, some patients find positioning the Ocusert in the eye to be challenging. Soft contact lenses, made of the same hydrophilic plastic materials used for vision correction, are also used as corneal bandages to protect the cornea during the healing process following surgery. They can be fitted to the eye and inserted and removed by the ophthalmologist. They are usually used without correction (piano lens) and removed by the ophthalmologist. Since they are used in a compromised cornea, great care must be taken to prevent microbial contamination. A recent investigation of a nonerodible ocular insert was conducted by QLT Plug Delivery, Inc. and evaluated the safety and efficacy of its Latanoprost Punctal Plug Delivery System (L-PPDS) for the treatment of open angle glaucoma. The company released proof-of-concept phase II clinical data from their CORE study that suggest that this might be a novel drug delivery route for ocular compounds. The PPDS was designed to address the unmet medical need of poor compliance and adherence patterns to treatment regimens seen in glaucoma and ocular hypertensive patients. Additional confirmatory clinical trials will be necessary to enable market registration of this product for the lowering of IOP, and potentially other indications when the PPDS is loaded with different therapeutic agents. Since polymers have been added to solutions to increase viscosity and ocular retention, it is not surprising that similar solutions have been dried to form films of the polymer-drug system. These films inserted into the lower cul-de-sac of the eye have been reported to increase retention time and drug bioavailability and prolong therapeutic effect. Ocular inserts made with water-soluble polymers imbibe the tear fluid and slowly dissolve and erode, releasing their drug content. The erodible inserts have potential advantages of not having to be removed at the end of their useful dosing interval. They provide a more precise dosage to the eye from a unit dosage form, and no preservative is required, thus reducing the risk of sensitivity reactions. Also, it may be possible to reduce the applied dose compared with conventional eyedrops and reduce the risk of local or systemic adverse effects. Potential disadvantages include the difficulty of achieving constant zero-order drug delivery as the matrix is eroding, and in some cases they may be squeezed out of the eye due to movement of the eyelids before their delivery cycle is complete. They may require terminal sterilization, and this may adversely affect stability and could produce unwanted degradation products. Considerable drug delivery research has been conducted and reported for various erodible ocular inserts (361-365). An erodible insert developed as a potential ocular drug delivery system is marketed as a prescription drug for the lubricant properties of the polymer base. Lacrisert® is a sterile ophthalmic insert that is used in the treatment of moderate-to-severe dry eye syndrome and is usually recommended for patients unable to obtain symptomatic relief with artificial tear solutions. The insert is composed of 5 mg of hydroxypropylcellulose in a rod-shaped form, about 1.27 mm in diameter and about 3.5 mm long. No preservative is used, since it is essentially anhydrous. The quite rigid cellulose rod is placed in the lower conjunctival sac and first imbibes water from the tears, and after several hours, forms a gel-like mass, which gradually erodes as the polymer dissolves. This action thickens the tear film and provides increased lubrication, which can provide symptomatic relief for dry eye states. It is usually used once or twice daily. Corneal shields are medical devices that are used as a bandage for protection of the cornea and to allow healing following surgery. Initially, hydrophilic soft contact lenses used for vision correction were employed as corneal shields. Collagen was then introduced as a substitute for the plastic noneroding bandage lens. They are widely used today as temporary protective devices for healing corneas. In addition to their approved use of corneal bandages, they have been investigated as drug delivery vehicles to provide sustained delivery of drugs to the cornea by the ophthalmologist (366). Collagen is widely used for biomedical applications. It makes up about 25% of the total body protein in mammals and is the major protein of connective tissue, cartilage, and bone. Importantly, the secondary and tertiary structures of humans, porcine and bovine collagen, are very similar, making it possible to use animal-sourced collagen in the human body. Collagen shields are designed to be sterile, disposable, temporary bandage lens, which conform to the shape of the eye and protect the cornea. They are not optically clear and reduce visual acuity to the 20/80 to 20/200 range. They differ mainly in the source of the collagen, usually bovine or porcine, and their dissolution time on the cornea ranging from 12 to 72 hours. The dissolution time is controlled during manufacture by varying the degree of cross-linking usually by exposure to ultraviolet light.